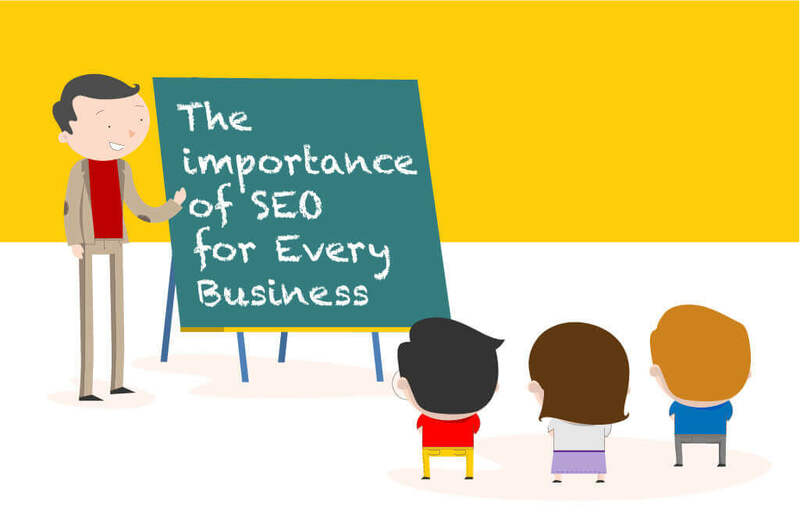 While most business owners have at least heard about SEO, a lot of them think that you only need it if you want to improve your position in search results and that this is the main benefit you can hope for. It is our goal to illustrate how search engine optimisation stretches far beyond just rankings, and why every business aiming to have an online presence absolutely needs it. Naturally, we cannot do this without first discussing that most coveted of SEO prizes, improved search positions. This collection of various search related studies compiled by Smart Insights demonstrates the importance of your SERP position, showing not only that when it comes to desktop search, organic is responsible for a whopping 95% of all traffic, as opposed to paid search’s 5%; but also how significant an impact your exact position can have on your click-through rates. For instance, when it comes to non-branded e-commerce related searches, the first result is likely to be clicked on by 48.36% of people coming to the page, while the second and third will only be interesting to 9.37% and 4.18% of visitors, respectively. This huge drop-off shows how much authority and trust comes with a good SERP position, but it also reminds us of how used to instant gratification people have become, because of all the businesses vying for their attention. In other words, if they can’t find what they need at the first link they click, they might give up their train of thought entirely, not even giving other results a glance. This is why rankings, as important as they are, are not enough to bring in and retain customers, and why SEO is as much about keeping you number one as it is about getting you there. Search engine algorithms were designed to assess how well a visitor’s needs would be served by a website, so it’s not the least bit surprising that most of the actions taken to help people find your site are the same ones that will get them to stick around once they’ve found it. This is also why manipulating search engines into ranking you above your competitors won’t do you any good. In some cases, it could even be argued that being found and then dismissed can be worse than not being found in the first place. While these numbers are not exact, or necessarily consistent across different industries and audiences, a study by Kissmetrics has determined that 47% of visitors expect a page to load within 2 seconds, and that abandonment rates drastically increase every second after that, with 40% actually leaving the page if it isn’t done loading in 3 seconds. Just imagine what happens if your site looks horrible on a phone, isn’t functioning properly, or generally, seems unreliable. While a web developer could help with some of the aspects of your site’s performance, an SEO will pay attention to UX elements that a typical developer might disregard, making your site not only easier to find, but also more enjoyable to use, easier to navigate, and better at guiding visitors to pages that you want them to find. If you’ve gotten visitors to come to your website and have managed not to repel them with a clunky interface, now might actually be the time to offer some value. Your product or service might naturally lend itself to interesting approaches to content creation, or it might not, but it is the reason you are doing any of this and should never fade from focus. That is to say, while content can provide form, embellishment, and elaboration to the core value you are offering, it is not there to replace it, fix it or hide the lack of it. If your basic offer is flawed and you manage to create enough engaging content around it to mask that for a while and actually gain some traction, you only stand to hurt yourself by bringing more people to the point for which you are not prepared – final conversion. That’s why choosing a proper way to build content around what you are doing demands much more than just knowing your industry, what’s currently trending, or even what the audiences you are after are interested in. Again, there’s no point in drawing people in if you’re just going to let them down. Yes, your content has to be engaging and useful, but it also has to have a defined purpose beyond that. The people you attract with content won’t necessarily want to have anything else to do with your website after that initial contact, so it is that content (as well as how and where it is promoted) that is often your last chance to make the sale. That means that it has to appeal to the right people; establish expectations that are in line with your goals; and most importantly, actually offer additional value, even at the cost of other aspects. Conversion rates are important, but the actual number of conversions is what you are after, and it only stands to grow from paying attention to visitors not suitable for customers, but with a potential to become evangelists. Keeping all of these considerations in mind, weighing the importance of each goal, their interactions, and their ultimate purpose within a context of a content marketing strategy is not something that even a talented writer with intimate knowledge of the subject matter could easily do. Apart from having the same obligations, i.e. making content interesting and educational, someone writing for SEO purposes also has to consider where it will be promoted, where it should guide the reader, how it fits within the overall branding and content strategy, what kind of people will react to it in which manner and how to make it equally understandable and interesting to both crawlers and visitors, without making it suspicious to either. And that’s only the stuff you need to figure out before you have anything published. What comes later, tracking the performance of your existing content, finding how to improve it, and how to modify your future efforts based on the observations, is another skill that demands a lot of practice to perfect, and another way to ensure that every nickel you are spending on your marketing returns the maximum value. Even if you had someone to perform basic technical maintenance and updates, write great content and keep an eye on the way your readers are converting, there is one thing you can only get from an experienced SEO, and that is intimate knowledge of not only how the search engine algorithms work now, but also how they have worked in the past. Every discipline is refined with time, becoming more faceted and subtle, but SEO, probably because it exists in a permanent state of symbiotic one-upmanship with search engines, has gone through so many drastic changes that scarcely a week goes by without someone pronouncing it dead, others claiming that it’s more alive than ever, and both groups being kind of right. Anticipating the currents and eddies of the Everflux is not something that you can just do as a side thought. They don’t always follow what you’d think was common sense or best practice, and even when they do, you can’t know how long can you rely on them to do so. As people who observe ranking changes for numerous clients; who have been there for most algorithm updates and seen their impact, and who have had sites penalised because of practices that seemed valid at the time, SEOs know how to stay on Google’s good side, not just by today’s standards, but by tomorrow’s as well. There is a number of other benefits you’ll get from SEO that would otherwise require you hiring someone specifically for the purpose. This includes authority and branding development, relationship building, conversion funnel optimisation, e-commerce payment solutions management, and depending on the agency you’ve hired and the versatility of their team, potentially a host of other services essential for online success. Small and medium businesses stand a lot to gain even with a more casual SEO campaign, but can’t be expected to hire an entire department to cover all the bases that hiring an agency would allow them to – even if they had an in-house SEO, one person could not hope to do all the work, or possess all the resources or breadth of knowledge that an agency provides. Larger enterprises, on the other hand, who can hire an entire team to take care of their SEO, can always use the help of outside agencies in order to get access to their connections, the benefit of a fresh perspective, and some much-valued diversity in their link portfolio. That’s why, even if you are not after a long-term engagement, regardless of your size or industry, at least getting a detailed SEO audit can help you learn a lot about your business and the ways to promote it that you’re missing.